the greater the focus on our goals. 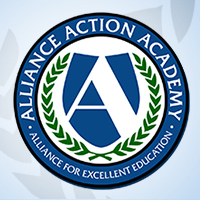 WASHINGTON, DC—Today, Future Ready Schools® (FRS)—led by the Alliance for Excellent Education (All4Ed)—announced Future Ready Technology Leaders™ (FRS Tech Leaders)—the latest expansion of the FRS initiative—aimed at empowering school and district technology leaders to better connect their practices, policies, and procedures to educational innovation in schools. Acknowledging the various roles of technology leaders within schools and districts across the country, the FRS Tech Leaders framework provides guidance around the action steps necessary to ensure that all students, especially students of color and students from low-income families, have equitable access to qualified technology leaders, digital researchers, and innovative learning environments. creating a transparent environment that communicates to all stakeholders. During five upcoming FRS institutes in Fall 2018, FRS Tech Leaders will tap an active network of like-minded educators beyond their own school, district, and state to share ideas and examples to overcome barriers to implementation, and for help and advice when challenges arise. A project of All4Ed, FRS helps school districts develop the human and technological capacity needed to personalize student learning and prepare students for college, a career, and citizenship. Over the last three years, 3,200 school districts’ superintendents—representing more than 19 million students—have signed the Future Ready District Pledge, committing to personalize learning by tailoring instruction to students’ strengths and needs while engaging them in challenging, standards-based academic content, with the help of effective digital learning strategies. Future Ready Technology Leaders™ joins FRS program strands already underway for district leaders, principals, instructional coaches, and librarians. More information on Future Ready Technology Leaders is available at http://futureready.org/program-overview/techleaders/.